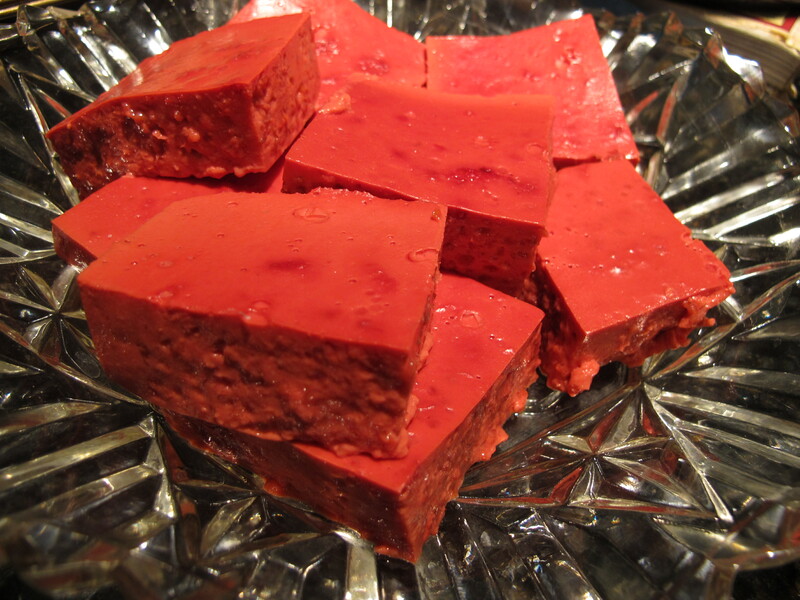 I know Christmas is over, but I can’t let another holiday end without writing about The Jello Salad. This is the dish at any family gathering that most people hover over with their forks before scraping into the trash, uneaten. Sometimes it is in a lovely mold, with fruit suspended inside, sometimes it is cut into shapes, sometimes it is just sitting in a glass dish. Whatever it is, it’s a relic from the 1950s. In my family, I’m the only one that likes/eats the jello salad, yet my mom lovingly makes it for me every year. The recipe (below) comes from a local Pittsburgh cookbook, the Three Rivers Cookbook Collection. Thank you, Mary Ellen Whittinger, whoever you are, for creating the recipe for one of my favorite holiday foods/something no one else will ever eat. 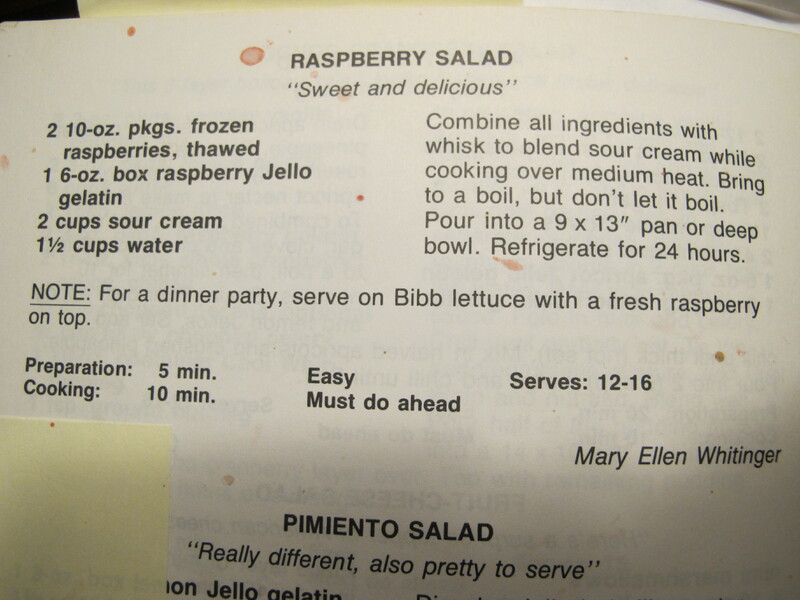 By the way, if you’re curious about the Pimento Salad (“really different, also pretty to serve”) on the bottom of the recipe page, the main ingredients are pimento cheese, jello, pineapple, and whipped cream. VOILA!